OMG, WHY DID I JUST PURCHASE THIS?! The Sigma Beauty SigMagic Scrub works wonders!! It is very easy to use, set up, and I love that I don’t need extra “stuff” to clean my brushes. The SigMagic is a 2-in-1 solid cleanser and gadget which makes the application fast and better results for your skin. Okay, let me tell you how simple and easy this is. It easily suctions to your skin with the firm hold suction cups, wet your brushes with warm water, and clean away (using a swirling motion)! Sigma Beauty SigMagic Scrub is $19.00! 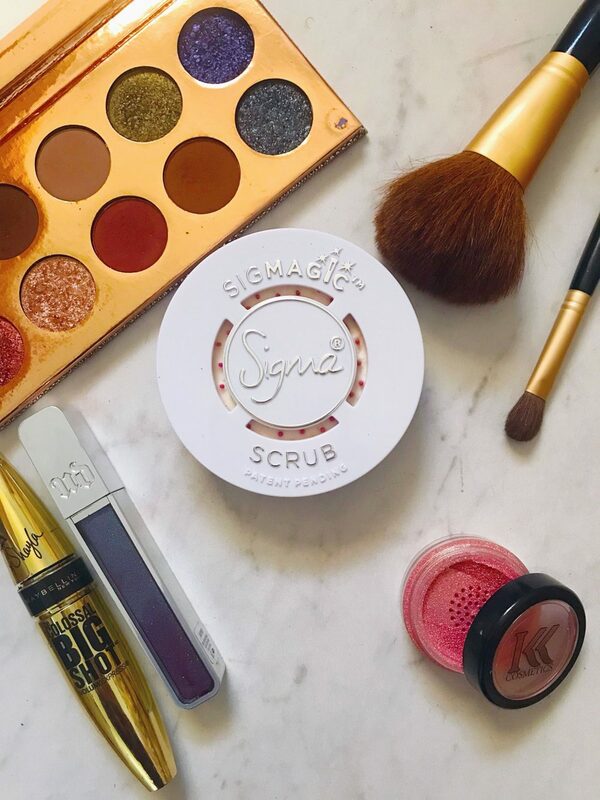 Sigma uses 100% natural virgin coconut and honest sourced palm oil that washes away product build-up, oil, and bacteria to get your brushes back to normal without harmful chemicals. This antimicrobial formula prevents the growth of bacteria for up to 2 weeks after using it. It is free of fragrance, parabens, and sulfates and the plastic container is recyclable. It is NOT recommended for blenders and sponges. Any discoloration does not affect the quality, effectiveness, or safety of SigMagic Scrub. I think it is worth a try! What do you use to clean your makeup brushes? Let me know below!